Casilando is a 2017 European online casino aiming to transport players to a land of fun and entertainment. The site uses the White Hat Gaming platform to provide a range of diverse gaming options. In their mission statement the owners say they are ‘driven by a strong passion for all things bright and beautiful’ and promise to provide a gaming experience that is different from the norm. 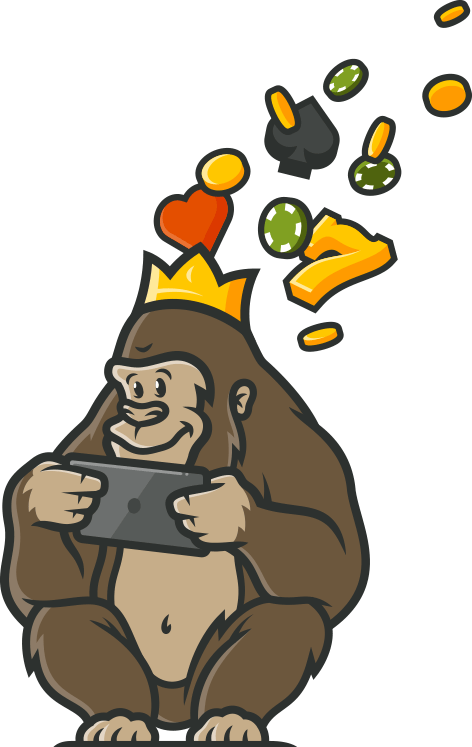 The Casino Gorilla has seen a lot of online casinos, so there is no better expert when it comes to making that judgement. Casilando vows to treat its members like ‘kings and queens’, but let’s see what the (self-styled) King of the Casino Jungle makes of this new pretender to the crown. So what does our eagle-eyed gorilla make of the welcome bonus at Casilando? In truth, the Casino Gorilla is less than impressed with certain aspects of this bonus offer. It is simple enough, in the sense that your first deposit is matched up to a maximum of £300 which is pretty uncomplicated and bigger than a lot of similar welcome promos. Plus you get your 90 free spins, again that’s more than a lot of similar sites will offer. However, the problem comes when you start examining the terms and conditions. To be able to cash out your bonus you must wager both deposit and bonus 35 times, so if you maxed out the welcome bonus offer of £300 you would have to bet a whopping £21,000. That is pretty big! Also, there are a large number of games which count either a reduced amount or nothing at all towards completing that wagering. Throw in the fact that free spin winnings are capped at £100 and this bonus is a lot less welcoming than it first appears. Your 90 free spins can be used on the following slot games: Starburst, Joker Pro, Pyramid: Quest for Immortality, Steam Tower and Fruit Shop. You must use those free spins within 7 days of their being awarded or else you will miss out on them as they will expire. As we mentioned above, one downside of this seemingly generous offer is that you cannot win more than £100 when using your free spins. Of course, £100 would be a pretty good result but the Casino Gorilla never likes this kind of restriction. As is the norm with one-off welcome bonuses, you will not need to enter a code in order to claim your bonus funds. Simply go ahead and make your qualifying deposit and the bonus funds will be credited to your account. Just remember that the minimum qualifying deposit is £20, and deposits made using Neteller or Skrill do not count towards claiming the bonus. When a premium developer like Evolution Gaming is on board you can have confidence that the live dealer casino is going to be of the highest quality. There are many players out there who only play live casino games, so it really is a must for any top online casino these days to have a decent selection of live games. Here you get the usual roulette and blackjack games, of course. Plus there are a good variety of other options such as Caribbean Poker, Dragon Tiger, Hold ‘Em, 3 Card Poker and Dream Catcher. Casilando is not the most beautifully presented site in the world, and in truth its visuals don’t do much to distinguish this casino from many others out there. However, it is easy to find your way around the site when you play on a mobile device, which is a definite plus. Modern developers make sure their games are mobile compatible, and that goes for NetEnt, Microgaming and the other great game designers supplying Casilando. You won’t need to download anything to go mobile, just access the site from your browser or url as normal and start playing the great selection of mobile games. There are plenty of different currencies available at Casilando, including GBP, EUR, AUD, CAD, NZD, SEK and ZAR. There are certainly enough payment methods to make deposits and withdrawals easy. These include the debit and credit cards of Visa and Mastercard, alongside the e-wallets Skrill and Neteller. Depending on where you live and which bank you use, you will also have the option to use Sofort, Giropay and Interac money transfer systems. Plus there is the voucher card Paysafecard alongside the traditional bank transfer option. Casilando Casino is licensed and regulated by both the Malta Gaming Authority, the UK Gambling Authority and the Curacao regulators. The former is one of the most respected authorities in the industry, and it covers residents of all EU countries. The UK regulator also demands extremely high standards from its license-holders so you can play at this casino with full confidence. All the games are independently checked for fairness, and transactions are protected using secure encrypted software. If you have any question or issue with Casilando Casino they will be happy to assist you any time of day or night. Live chat is the easiest way to get in touch, with operators standing by around the clock, ready to offer assistance. There is also the facility to send emails if you need to add an attachment or if you do not require an immediate response. Residents of the following countries are not permitted to play at Casilando: Asia, Australia, Austria, Belgium, Denmark, France, Hungary, Israel, Italy, Malta, Poland, Russia, Spain, Turkey, United States. Check the terms and conditions for the full list of excluded countries. 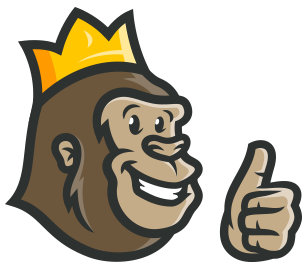 There are good things and bad things about Casilando Casino, and the Casino Gorilla is kind of on the fence about this one. This casino just doesn’t offer the kind of exceptional gaming experience you can find in the really top online betting sites. The quality of games is very good – a definite plus point – and the loyalty plan rewards all players rather than just VIPs. The conditions attached to that welcome bonus are pretty unfriendly though, and the site design and concept doesn’t take this site to the next level. This is a middle-of-the-road option at the moment, although it is a new casino and there is always plenty of time for improvements to be made. Wasn’t too happy with the layout of the site. It doesn’t really appeal or have the glitzy look of other casinos. Games are ok and bonuses pay well. If you want a visual experience, choose another site. Casilando gave me 50 no deposit free spins upon my sign up, this was one of the highlights of my experience. But later found out that I am restricted to use those free spins on only a number of games like Starburst, JokerPoker and others. All of which are absolutely great games though, so no regrets!